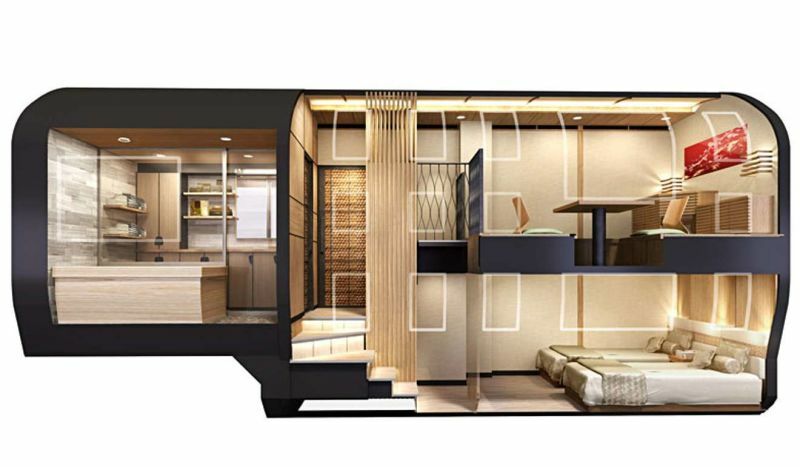 With Michelin-starred chefs, solid cypress bathtubs and a cosy fire place: the brand-new train suite “Shiki-Shima” is an experience in unparalleled extravagance. 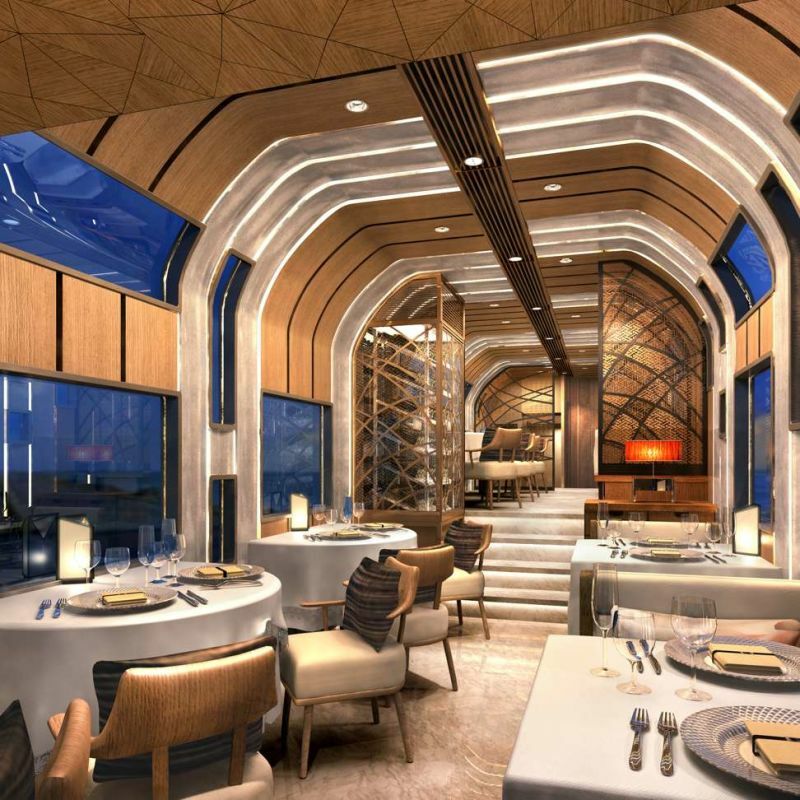 Unveiled May 1st 2017, the stylish champagne-gold-coloured 10-car train has huge windows in the sides and ceilings allowing passengers to relax and enjoy the view as the train travels through mountain and coastal scenery. One of which, is the northern Japanese countryside used to grow the ingredients in seasonal delicacies prepared by the onboard chefs. 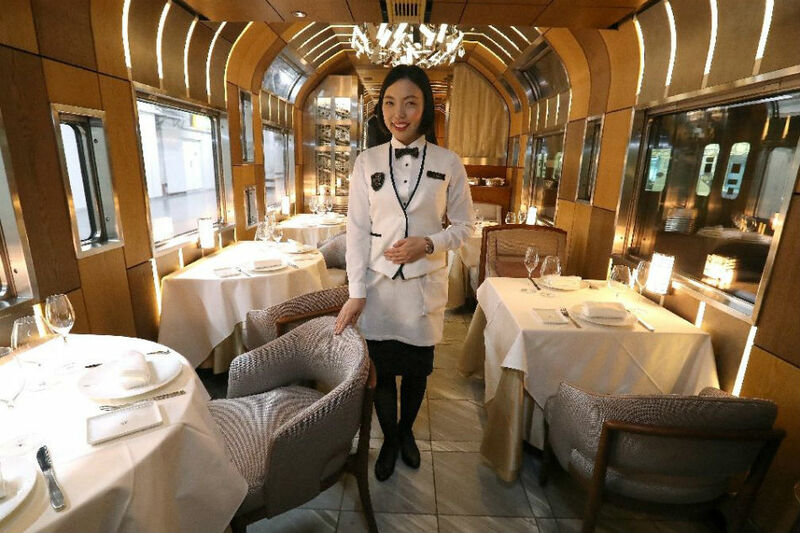 The train’s 17 rooms – two large suite rooms in different sizes and 15 smaller rooms – can only accommodate 34 people in total. 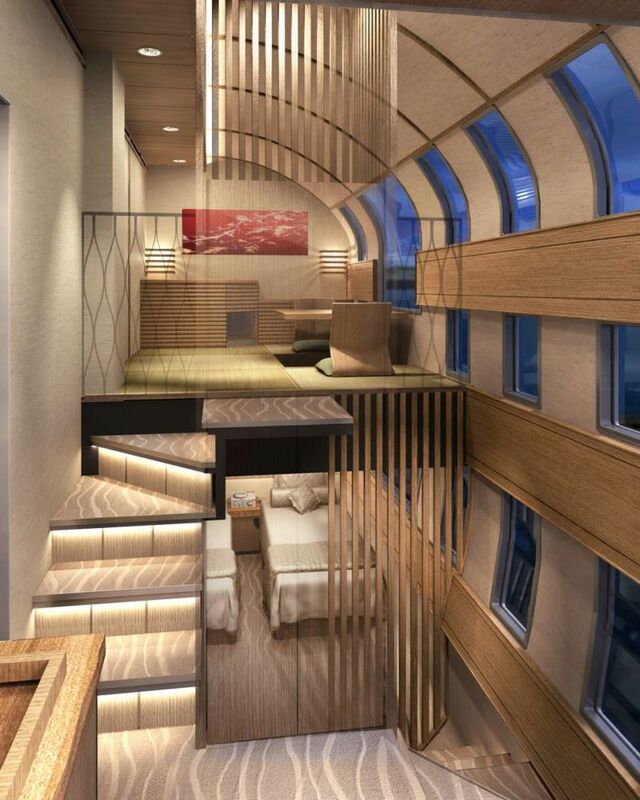 Customers willing to shell out $2,865 for a single trip or up to 950,000 yen ($8,500) per person for four days and three nights can enjoy a top-of-the-range suite aboard the “Shiki-Shima”. 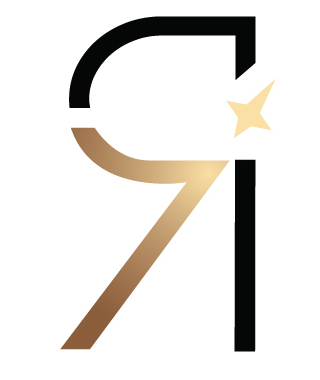 Despite the hefty price tag, there is no shortage of customers, tickets are booked out through to March next year. We can only imagine what the waiting list looks like. Designed by Ken Kiyoyuki Okuyama, using traditional materials such as wood, “washi” Japanese paper and Japanese lacquer for its interiors to add an authentic Japanese taste. 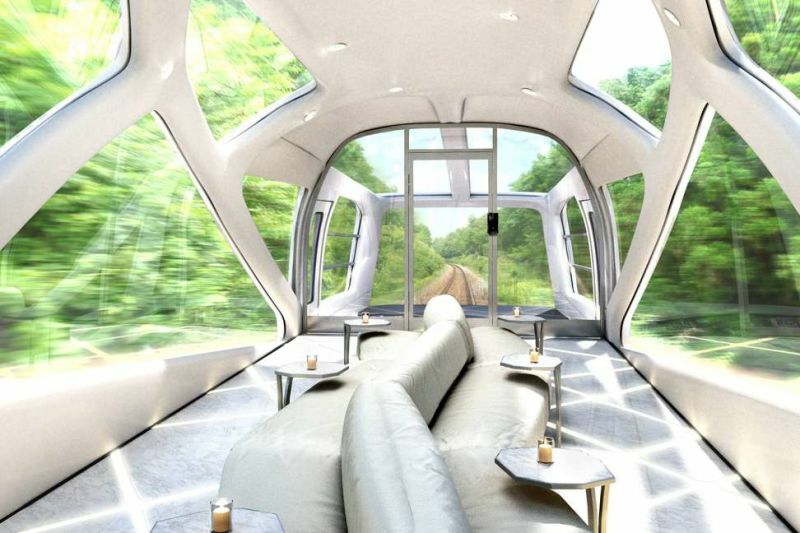 The “Shiki-Shima” is not the first uber-luxurious train to hit the tracks in Japan. 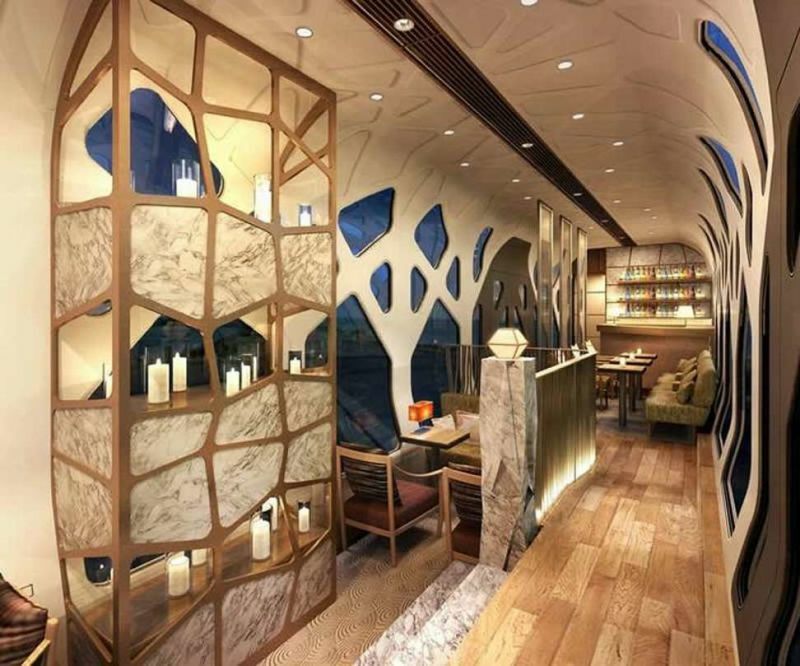 In 2013, Kyushu Railway unveiled its “Seven Stars” service with a piano and a bar, top-end dining and luxury suites, while West Japan Railway will launch the “Twilight Express Mizukaze” sleeper in June which cater to the demand from discerning and moneyed travelers.